Look! It’s Mister Noodle’s cousin, Buster Noodle! What’s with the empty space in the first baloon? They were pretty sloppy about lettering and such back then Frankie. 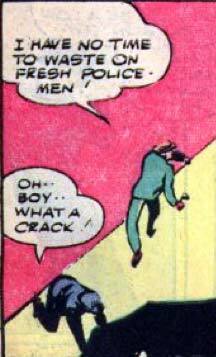 The Blue Beetle strips in particular were kind of hacked up.